We are offering our Basic Unlock Service At Discount Price's! Some Restrictions Apply, Offer valid on certain model's and versions only! IPHONE 8 and IPHONE 7! Ask About Our DELUXE Jailbreak Package That Includes Over 2,000 Extras! Permanent Factory IMEI Unlock Available! Factory Unlock to use any sim or carrier! YES WE UNLOCK SPRINT IPHONE AND DEVICES! YOUR PHONE STAYS UNLOCKED EVEN DURING iOS UPGRADES! GET YOUR CRACKED SCREEN FIXED CHEAP! UNLOCK * ANY * iPhone X 8 + ! iPhone 7 PLUS Can Be Jailbroken! iPhone 7 Can Be Factory Unlocked! We Jailbreak and UNLOCK EVERY IPHONE 6! iPhone 6 PLUS and 6 with ANY Modem Or Firmware can be UNLOCKED and JAILBROKEN! USE WITH ANY GSM CARRIER! 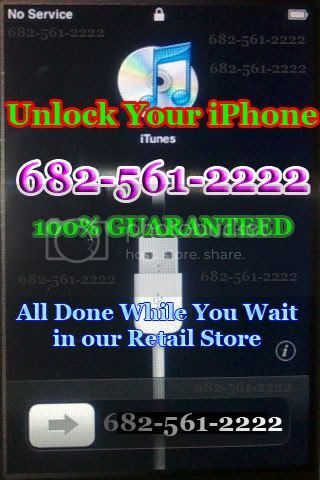 FULLY Unlock & Jailbreak ANY iPhone!
. iOS 11+ iOS12+! . Even the new iPhone X can now be UNLOCKED! iPhone for Verizon & Sprint Jailbreak UNLOCK! Unlock Samsung Note, LG, Hauwei, HTC, Google Android, Alcatel, Pantech, Motorola, Pixel, Nexus and More! WE CAN OFFER ROOTING SERVICE FOR CERTAIN ANDROID DEVICES. STRAIGHT TALK, FAMILY MOBILE, CRICKET AND METROPCS! YES WE UNLOCK SPRINT & VERIZON DEVICES! and newest iPhone X iPhone 10! WE ARE NOW ABLE TO UNLOCK THE NEW IPHONE X FOR USE WITH ANY SIMCARD! YES EVEN NEW MODEM VERSIONS! If You Have Been Stuck With An iPhone That Has Been Sitting For Months Because The Software/Firmware Update Was Preventing You From Using Your T-Mobile (or other non official) Simcard - THE WAIT IS OVER! Browse our huge selection of iPhone and Android accessories! Hard Plastic Cases! Silcone Phone Gels! YES WE CUT MICRO SIM! YES WE CUT NANO SIM! T-MOBILE, AT&T, H20, SIMPLE MOBILE, CRICKET, STRAIGHT TALK, FAMILY MOBILE, METROPCS, SPRINT, VERIZON AND OTHER GSM MODELS. COME BY THE STORE WITH YOUR PHONE, BOX, CHARGERS, MANUALS, ACCESSORIES AND BE READY TO GET PAID! YES! WE ARE NOW WORKING WITH NEW IPHONE iOS! ..:: Jailbreaking and Unlocking! ::.. THE NEWEST IPHONE GSM MODELS! We Unlock ANY GSM PHONE! We Unlock ANY LG phone! We Unlock ANY Samsung Phone! We Unlock ANY Windows Mobile! We Unlock ANY Android GSM! We Unlock ANY Samsung Galaxy! We Unlock ANY Samsung Note! WE UNLOCK T-mobile - AT&T - ANY GSM ! WE UNLOCK SPRINT DEVICES IPHONES! USE WITH ANY WORKING SIM CARD! We offer professional Guaranteed GSM unlocking service for almost ANY GSM model phone including Apple iPhone, Blackberry, LG, Nokia, Motorola, Samsung, Galaxy, Android, Windows Mobile, Palm, Sony, HTC, Hauwei, Nexus and others. YES WE UNLOCK INTERNATIONAL VERSIONS OF PHONES FOR WORLDWIDE SERVICE! 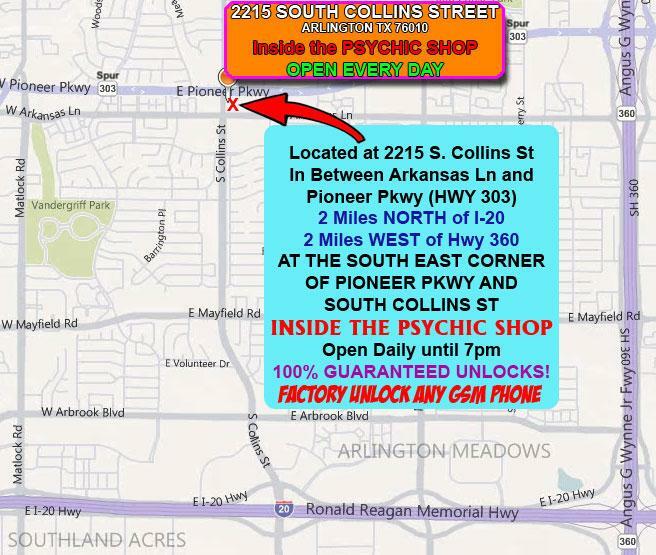 Our service's are fully 100% guaranteed, and because we are a fully stocked retail store, in business for more than 20 years in the same brick and mortar location in Arlington- You know when WE offer you a GUARANTEED service - It really mean's 100% FULLY GUARANTEED BACKED BY A REAL RETAIL STORE! Open for Business EVERY DAY! our Retail Store offer's 100% GUARANTEED RESULTS. Now full and complete unlock for ANY iPhone X, iPhone 10, iPhone 8, iPhone 8 Plus, iPhone 7+ Unlock iPhone 7 Unlock iPhone 6 PLUS, 3G, 3GS, 4, 4S and iPhone 5 GSM. Best service in DALLAS. 682-561-2222. 100% Guaranteed! WE CAN FULLY UPGRADE YOUR IPHONE TO NEWEST iOS SAFELY AND KEEP YOUR IPHONE FULLY UNLOCKED AND FULLY JAILBROKEN! We also sell ALREADY unlocked iPhone's and GSM phone's for use with T-mobile, Simple Mobile, Wal-Mart Family Mobile, Straight Talk, MetroPCS GSM, AT&T, H20, Cricket or other GSM sim cards with NO service contract, extension or upgrade needed! Just insert your existing sim card and go - THATS IT! We can also safely and reliably UPGRADE and Update any iPhone to the latest and newest firmware available, even already unlocked iPhone's. Get the latest firmware and features of Apple's Newest iPhone OS with full Jailbreak, Activate and FULLY UNLOCKED ready to use any GSM SIM card in the world - GUARANTEED ON ANY IPHONE. We also carry a large inventory of accessories and gifts for cellular device. You are welcome to stop by our store and browse our items in stock now all at discount prices. We are open 7 days a week to serve you best! PLEASE CALL FOR HOURS AND DETAILS. Professional Unlocking Solutions for any Apple iPhone *ALL MODELS & ALL VERSIONS*, Apple iPhone, Samsung, Android, LG, HTC, Hauwei, Alcatel and Motorola Cellular and Mobile Phones. All Done in person, some WHILE YOU WAIT in our Retail Store located in Arlington. Service performed by professional qualified technicians, and all 100% Fully Guaranteed. YES WE CAN UNLOCK THE NEW iPhone X, iPhone 10, iPhone 8, iPhone 7 and iPHONE 6+ GSM, iPhone 5S, iPhone 5C iPhone 4, iPhone 4S, iPhone 3gs, iPhone 3g and the original iPhone 2g! WE CAN FIX IT. Get your iPhone 100% Fully Unlocked to work with ALL GSM CARRIERS IN THE WORLD. Use it with T-mobile, AT&T, Cricket, MetroPCS, or ANY SIM CARD AROUND THE WORLD. Get the FULL and real internet on ANY GSM Carrier!! NO FUNCTION LOSS, NO FEATURE LOSS! UNLOCK ANY IPHONE OR ANDROID DEVICE FROM ANY CARRIER! REMOVE SCREEN LOCKS! We are one of the oldest and original iPhone unlocker's in the DFW Metroplex, having served countless satisfied customers and their phones. We offer you support now and in the future for your device! YES! 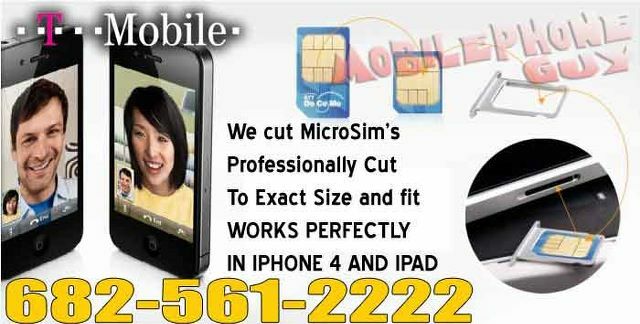 We CUT Sim Card's to Micro Sim or Nano Sim size. ANY Apple iPhone and iPhone X! ANY Android - Latest Versions! ANY SAMSUNG Galaxy Android & More! Now activate a new GSM Cellular account! YES! ONLY $40 A MONTH FOR UNLIMITED EVERYTHING! NO CREDIT CHECK, NO QUESTIONS, NO HASSLES, NO CONTRACTS! INSTANT AND IMMEDIATE APPROVAL, SERVICE AND PHONE NUMBER! GET A NEW ACCOUNT TODAY! 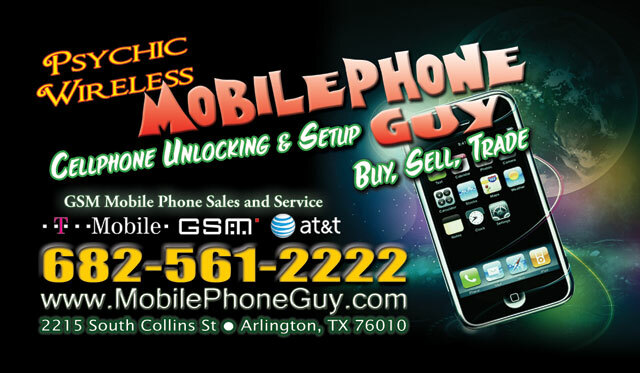 We Buy, Sell, Trade and FULLY UNLOCK most GSM phone's. Android, Google Pixel, Apple iPhone, Nokia, Motorola, LG, Samsung Galaxy and others. We offer full customize and setup options for your cellular mobile phone device. Add thousands of new items like Ringtones, Wallpapers, Games, Icons, Themes, Wallpapers and more. Service, Customizing and Unlocking is done inside our Retail Store in Arlington.